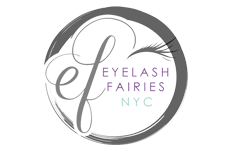 Classic – Lashes made of synthetic polymers which are individually applies to each of your lashes. Minx – A classic application of softer and lighter eyelash extensions made for the luxury wearer. Volume – Fans made of multiple lashes are applied to each individual lash resulting in the ultimate dramatic look. Blend – Individual lashes and fans are combined to give you the natural look with a boost. Microblading – Applying hair-like strokes to your brows to give the most natural look. Avoid using product or cleansers with glycols, organic solvents, urea or high concentrations of alcohol. Do not curl your extensions. Do not pick or pull your extensions or natural lashes. We love oil or water based products. Avoid pools, jacuzzis, tanning, excess sweating, facials and saunas for at least 10 days post application. Avoid products containing Retin-A, AHA, or any kind of skin peel. Refrain from using soaps and creams on tattoo during healing time. Come for your touch up from 4-8 weeks from initial application. Avoid any oil based creams, shampoos, moisturizers and lotions for the first 24 hours. Avoid hot steam showers or saunas for 24 hours post treatment. Refrain from washing hair that evening as some products can cause the color to weaken or the lift to relax. Do not rub or play with the lashes.